Date Picker module for prestashop is suitable for gift and flower shops and in the case you want to offer your customer to choose when he will receive the order! 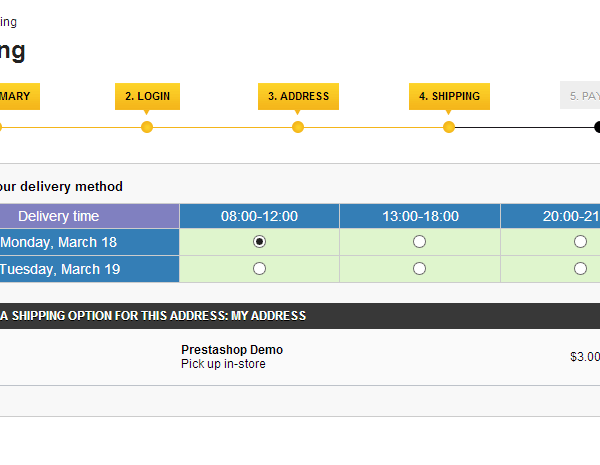 Date Picker module for prestashop is suitable for gift and flower shops and in the case you want to offer your customer to choose when he will receive the order (your client can easily pick a delivery date and time). 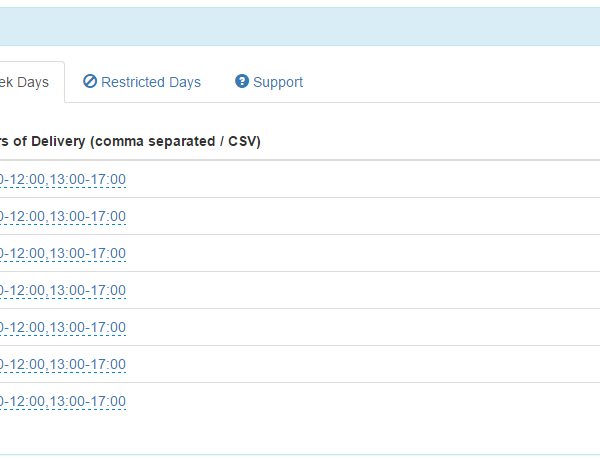 If offers AJAX driven time intervals per each day of the week! Maybe Saturday you deliver only from 09:00 to 12:00 and from Monday to Friday you are delivering from 09:00-13:00 and from 15:00-19:00. Don’t want to deliver during vacations? 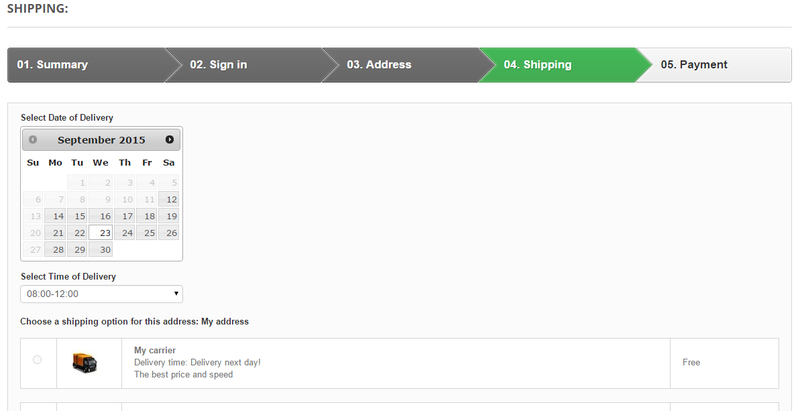 No problem, you can restrict days available for shipping such Christmas, or Easter for example. 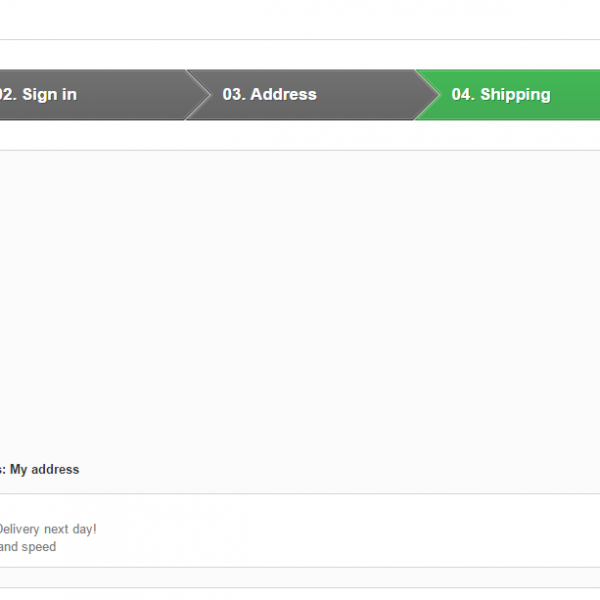 Are you in a hurry and can’t deliver too early? 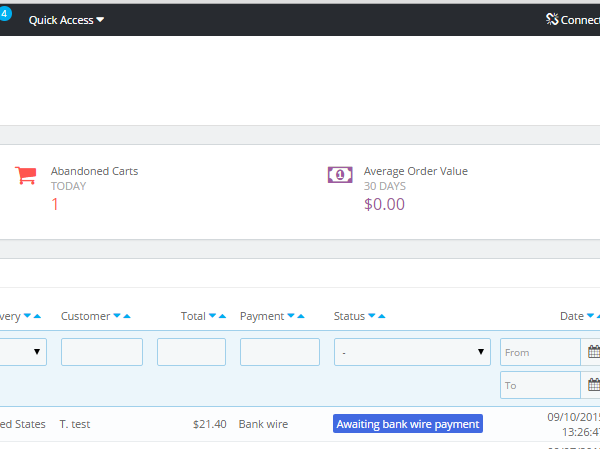 The cut off hour and first delivery day available features will help you! 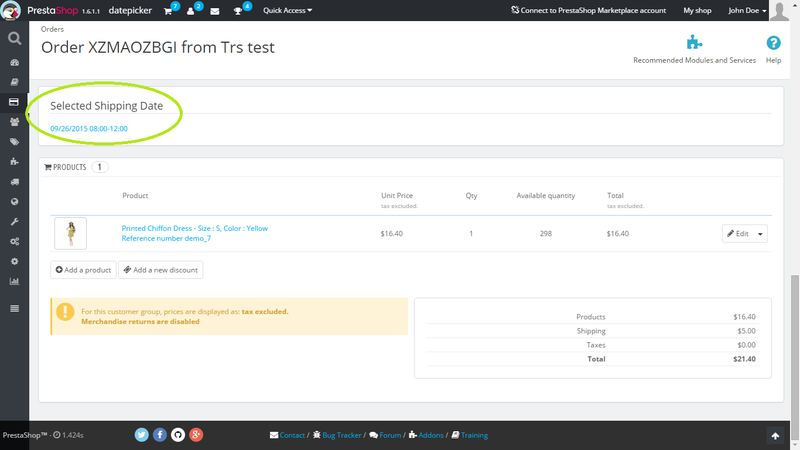 Try out the demo and see for yourself! For a custom shop to avoid incompatibilities with potential 3rd party modifications, one to one installation available at a price of 30E. 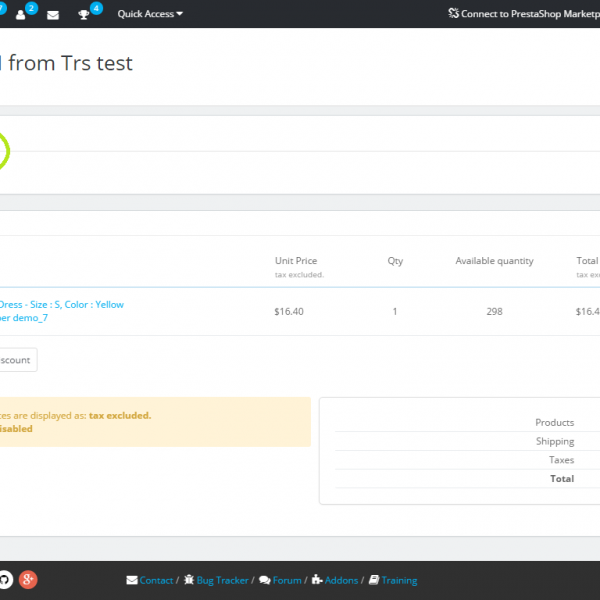 The price does not include modifications of the plugin though. 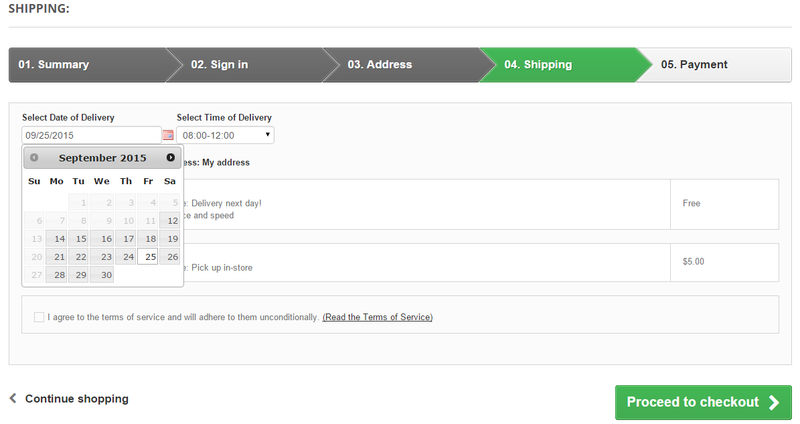 – show for desired carriers only making it possible to ask for a delivery time only when needed. 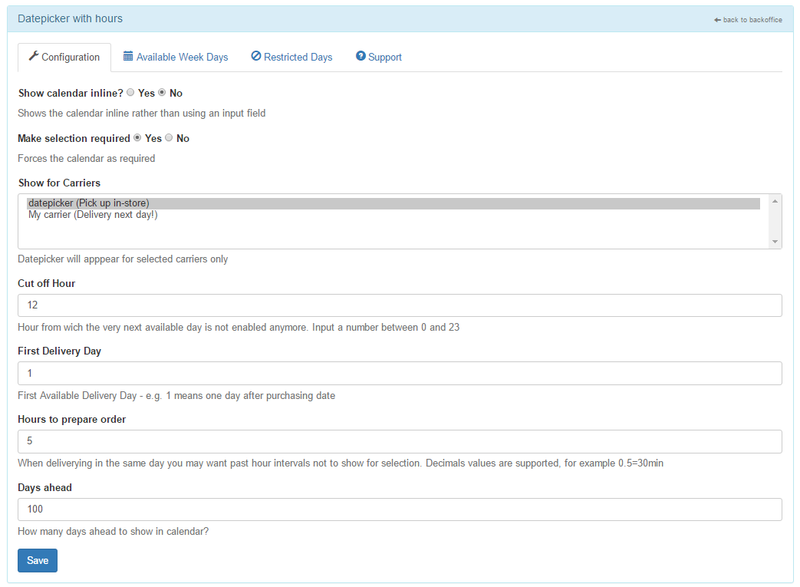 Bellow information is outdated: the configuration is even easier, please check screenshots. A PDF manual is included inside the package also. 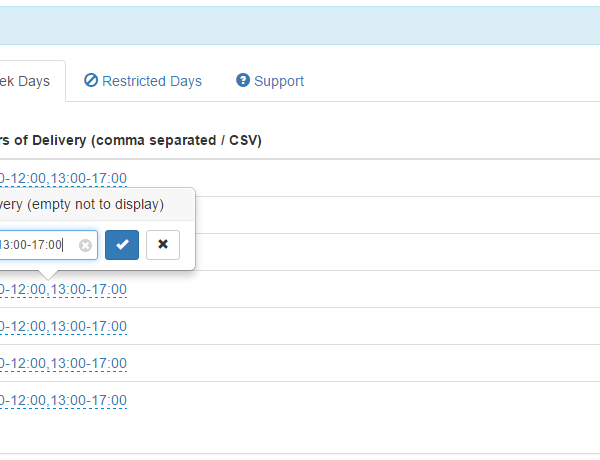 1. go to admin -> shipping -> Available Week Days and enable disable the weekdays you wish (for instance you don’t work sunday). 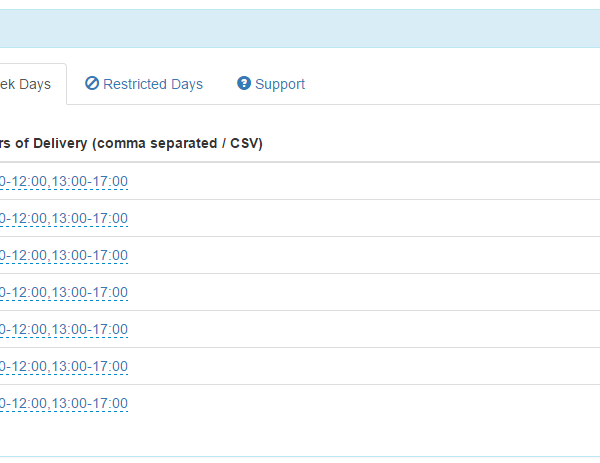 You can also set here the time intervals available in a certain day. the calendar will appear where the shipping carriers are. 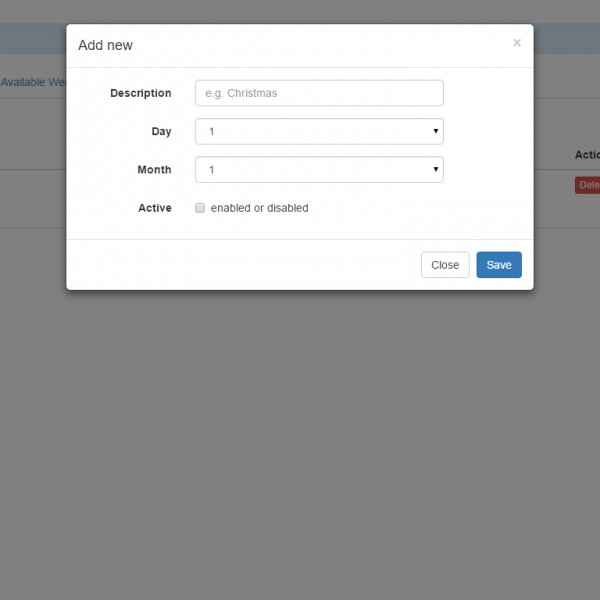 updated to support the latest 1.3.6 of prestashop, the package still contains versions for the previous prestashops. Perfect module and amazing help from the developper ! 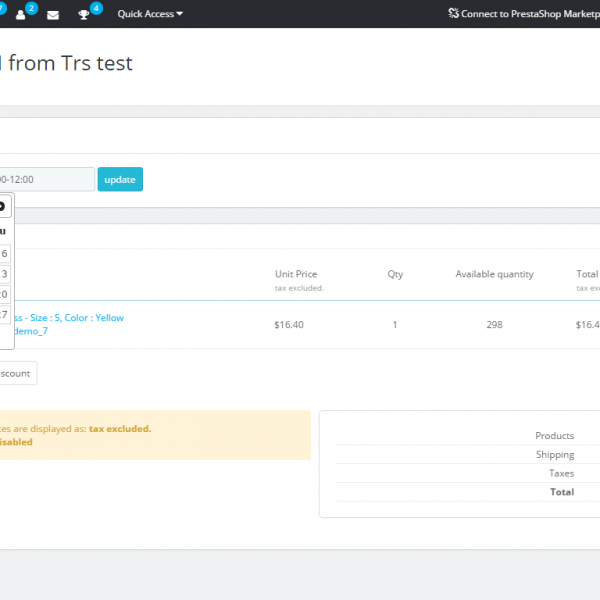 The functionality really adds value to an ecommerce website and Ecommy make it so accessible! Brilliant module that works perfectly, and the developer was fantastic, even adding a new feature when I asked if he could help. Top notch! Excellent addon, if your even thinking of buying it do! 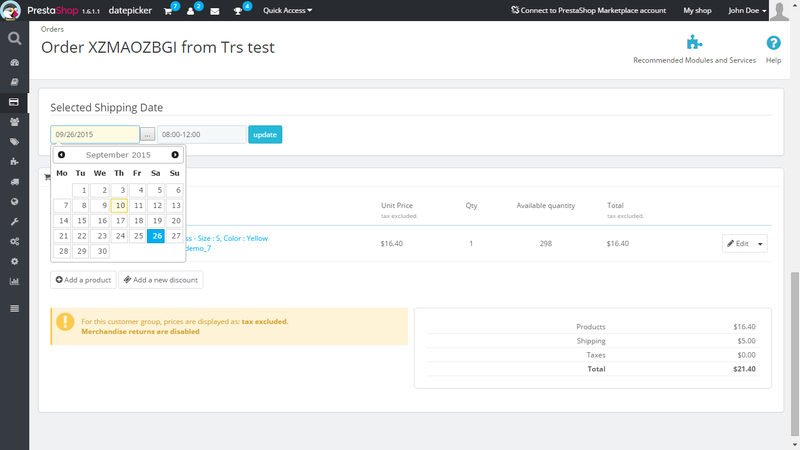 It’s really well implemented and integrates with PrestaShop seemlessly. 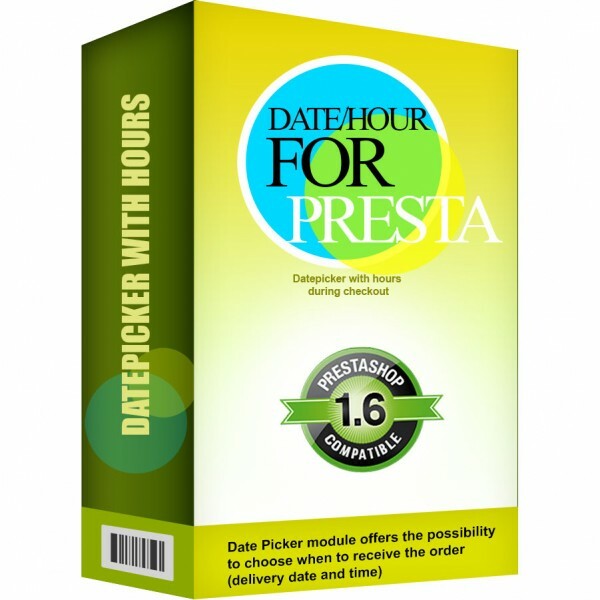 If you need a date for anything Collection Date, Delivery Date on your prestashop cart order this will work well. 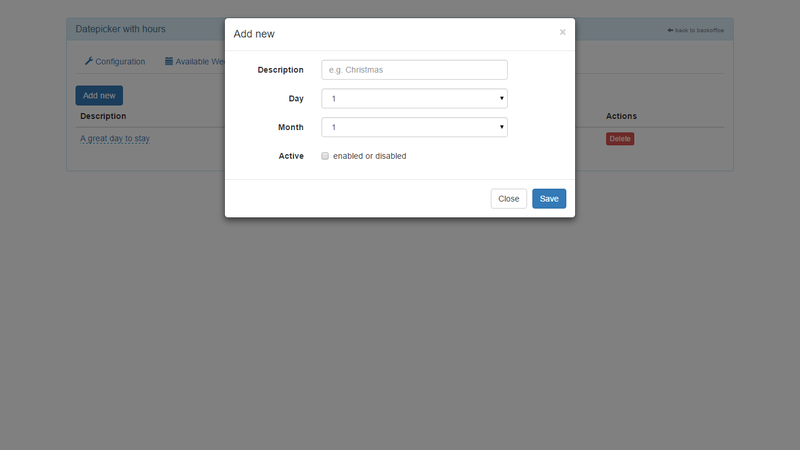 Very useful module, works great on latest PrestaShop 1.6.0.9. 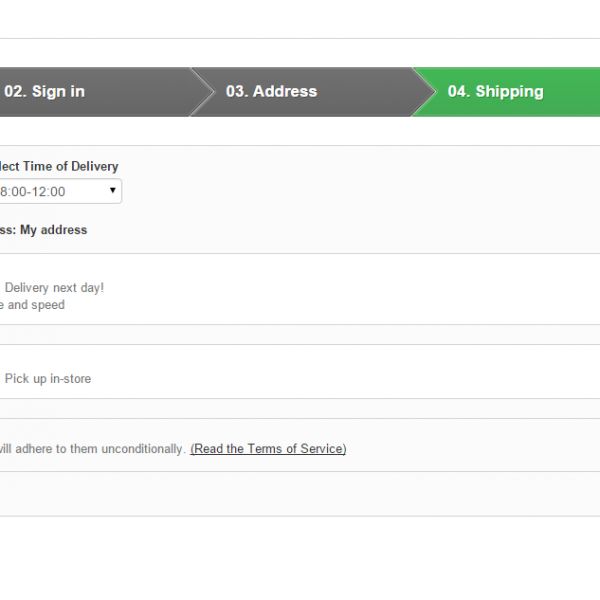 Highly recommended, especialy if you provide your own delivery services and need to do shop logistics. The prefect module for our requirements. Although we needed a small customisation which Radu carried out for us perfectly. 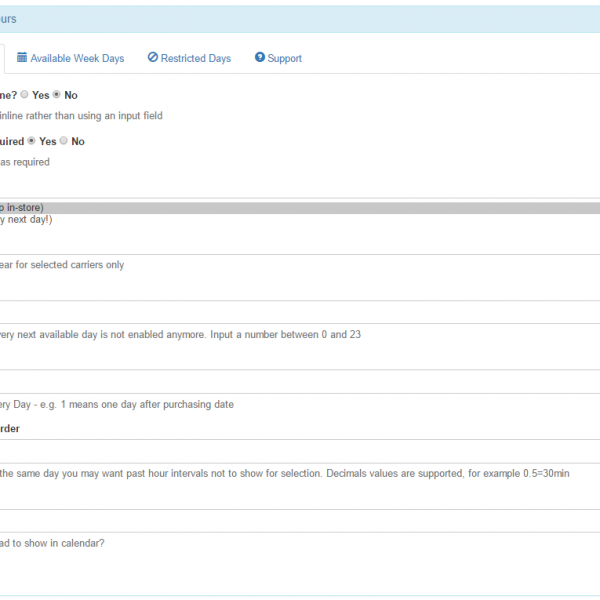 Would definitely recommend this module to anyone who needs to allow their customers to pick delivery dates and times. Super simple to set up by the way.